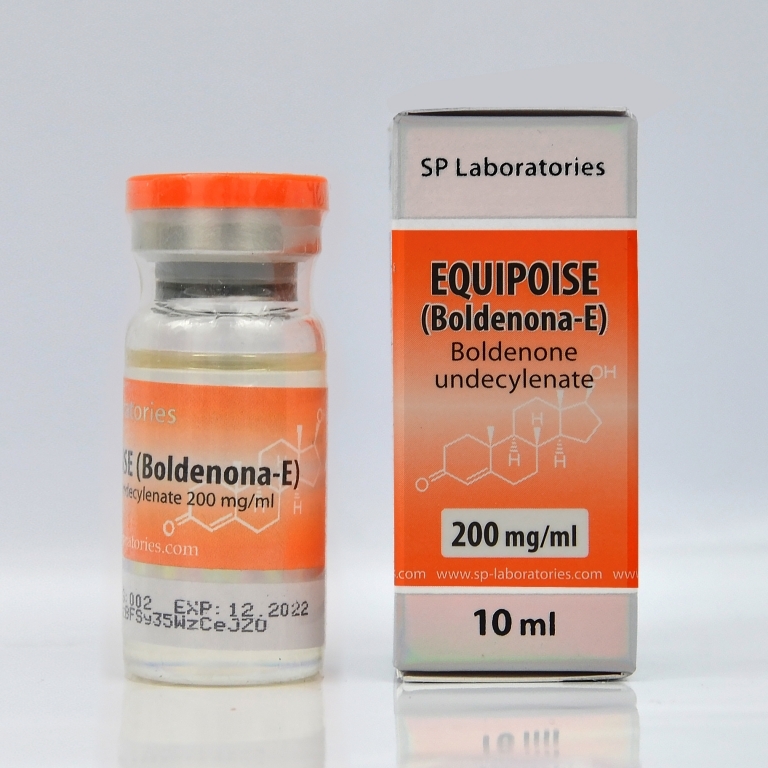 Composition: 1 vial contains 10 ml solution for injections; each ml contains boldenone undecylenate 200 mg.
Equipoise is an anabolic similar to testosterone, but has an androgenic ratio of 2 times smaller. Although is a weak steroid, it may affect the own production of testosterone, so it is necessary to use Tamoximed and Clomed after finishing the cycle. Equipose builds the muscles slow, but qualitative. If you are using only Equipoise alone, it is recommended to be used for at least 12 weeks, to obtain good results. Equipoise can increase the appetite, so it should be used by those who want toning. It is administered weekly, the weekly dose is 200 to 600 mg. Would be advisable not to exceed 600 mg per week. It has to be administered in small doses once every two days for a total of 200- 600 mg per week; the injection has to be made in different places, to avoid irritation; do not use more than 3 ml once. Equipoise is unlikely to cause adverse effects, but at higher doses can occur side-effects as water retention, fat accumulation, gynecomastia, oily skin, acne and baldness.